This is a round Farm Bureau Association porcelain sign. 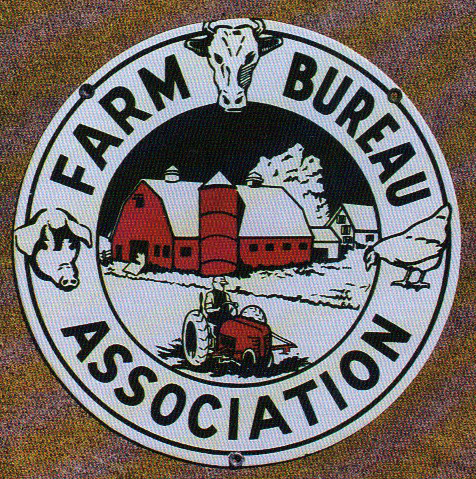 This particular Farm Bureau Association sign features a red barn and tractor against a black and white farm background. It reads, “Farm Bureau Association” and also has a pig, cow, and chicken evenly spaced along the border.